Collecting revenue is the lifeblood of any business. Without timely and predictable collections, business operations are strained, budgeting for expenses falters and long-term planning becomes increasingly difficult. Investment decisions are delayed and the impending uncertainty can create an environment of fear among staff. Ensuring regular and predictable cash collection is clearly one of the most crucial aspects of any business operation. This is particularly true for water utilities where it is common for fixed operating expenses to greatly exceed the amount of fixed revenue charged to customers in the form of water rates. When customer demand varies due to seasonal precipitation patterns, so does revenue. This makes reliable payment performance even more important to water utilities who have to contend with very large capital expenditures on a semi-regular basis. Payment performance in the water industry is under threat. As of 2015, the U.S. water industry generated more than $50 billion in annual revenue, and given ongoing economic growth in the past few years, that number has likely grown. Yet, collecting that revenue is a challenge for many water suppliers. According to AWWA, utilities report that somewhere between 0.5 and 1.5 percent of annual revenue is effectively uncollectible. While not all of this lost revenue is from the low-income segment, it does point to the magnitude of the affordability challenge the industry faces. Assuming uncollectible revenue at the mid-point of 1 percent of $50 billion, this equates to at least $500 million of annual losses. But it doesn’t end there. In addition to uncollectible revenue, there is an unknown amount of additional delinquent revenue as well as added costs for service disconnection. A typical disconnect costs the water utility at least $20 in direct costs (even after reconnection fees are factored in) and there are an estimated 7.5 million annual disconnections for delinquent payments. This adds up to an additional $150 million in lost revenue each year. Regardless of the specific numbers, the industry is clearly challenged in maintaining payment performance from its customers, and yet very little is done at a systemic level to address this large and growing problem. Many utilities simply consider these uncollectible revenues as unavoidable and a cost of doing business. Yet there are creative approaches to address this challenge if water suppliers are able to think outside the box, embrace proactive customer communication and carefully consider the root causes behind poor payment performance. The first step to addressing poor payment performance is to acknowledge that all customers are not the same. There are a number of different reasons that customers don’t pay their water bill. Yet just as you wouldn’t prescribe the same treatment for health conditions as diverse as a cold, a broken bone, and cancer, it is sub-optimal to treat all delinquent payers the same. There tend to be three different groups of customers when it comes to delinquency: Those that forgot to pay, those that refuse to pay, and those that can’t afford to pay. Identifying these variant segments and devising communication strategies to address the needs of each is the key to improving payment performance. 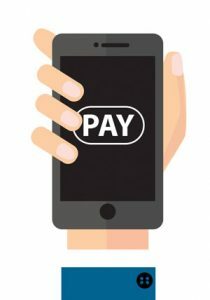 For customers that forgot to pay, there are a number of modern communication technologies that can automatically remind users of pending or delinquent bills through email, text message, or automated voice notifications. Customers can now sign up for auto-payment solutions that remove human error or memory from the payment process. It is even possible to automatically update expired credit cards through modern electronic payment platforms, thus avoiding inconvenient, embarrassing, and costly late fees and potential disconnections. For customers that refuse to pay, the goal is to identify the underlying objection to paying the bill. More often than not this derives from a belief that the bill is unreasonably high and not reflective of actual consumption. While metering or billing system errors do occur on occasion, more often than not customers are simply unaware of their actual consumption or recent rate increases that lead to a higher than expected bill. By providing customers with access to detailed consumption data in an easy to understand user interface along with high use and bill forecasting notifications, customers can keep abreast of their usage and potential monthly spend which can reduce high bill surprises, angry calls to customer support services, and fewer payment refusals. In the event these technologies aren’t proactively used by the end-user, customer service representatives can address calls regarding high bills by quickly accessing consumption and bill data to help provide frustrated customers with accurate information on their water use. For customers that can’t afford to pay, there are a couple of different approaches to addressing the needs of this cohort. The first, and more traditional, approach is to offer low-income customers access to Customer Assistance Programs (CAPs) that subsidize water use in the form of lower bills. This allows at-risk customers the opportunity to apply for rebates or lifeline rate programs that reduce the cost of water services in the event that the customer meets certain financial eligibility criteria. There are, however, a number of challenges with these programs. First, it is often difficult to communicate program availability to customers that are most in need. Utilities are not typically resourced to identify and communicate with customers that would most benefit from CAPs. Second, there are social stigmas associated with being low-income, and many eligible customers do not self-identify as in-need, are embarrassed about applying for financial assistance, or are too proud to accept what is often seen as a welfare handout. Finally, the CAP application process can be complex, requiring submission of past tax returns, pay stubs, or other sensitive financial documentation. The combination of these factors serves to limit the number of eligible customers that apply for assistance programs. In addition to the challenge of identifying and enrolling at-risk customers in CAPs is the issue of financing. Many states or municipalities have regulatory restrictions which prevent utilities from spending money on programs which only benefit a sub-set of customers, and grant programs for water affordability are often limited and oversubscribed. It can also be complex to design, implement, and manage an equitable assistance program. Utility human resources are often constrained, and the costs of program administration can be yet another hurdle to offering assistance to customers in need. Fortunately, there are other ways to address the challenge. Another, more modern approach to addressing water affordability is to target low-income residents with personalized money saving recommendations that allow the customer to take greater control of their water spending. Using interventions that compare water use to similar households has been proven to change user behavior and improve water use efficiency which lowers monthly bills. It is also important to use mobile technologies to communicate with low-income customers. Personal computers and monthly internet service fees can be prohibitively expensive for low-income residents, so the mobile device is often the only way that these customers are able to access digital information. Yet to effectively implement any of these approaches to improving payment performance, water suppliers must overcome the historical inertia of the silent service provider. Over the past hundred years, water providers in the United States have done an unbelievable job of providing an incredibly safe product at a very high level of service reliability. They have done such a wonderful job of providing clean, on-demand water, that customers have come to take these services for granted. Anyone close to the water industry understands the massive resources, both physical and capital, required to provide this level of service reliability. Yet the success the industry has experienced has also laid the groundwork for one of its most serious flaws. Since service reliability has been taken for granted, water suppliers have historically only heard from their customers in the event of a problem: boil orders, service outages, high bills, or other service complaints. Thus, the industry has effectively measured the level of customer satisfaction by a lack of communication with customers. The less they hear from customers, the better things must be going. But in a time of rapid technological evolution and rising customer expectations for digital access, data transparency, and service immediacy, the paradigm of the silent provider of service is no longer viable. Utilities must embrace proactive outreach to their customers. They must adopt new digital technologies to measure things such as water quality, system losses, demand-side leaks, and customer satisfaction. They must leverage modern communication systems to keep customers appraised of consumption, billing, and payment status as well as rebate or customer assistance programs, community events, and prospective infrastructure investments. By taking a comprehensive, segmented approach to communicating payment issues with customers, utilities will be better positioned to improve revenue capture and reliability. A multi-channel approach to implementing payment performance best practices can simultaneously reduce uncollectible revenue and delinquent payments while improving customer satisfaction. The systems and methods to accomplish these goals are now proven and affordable, and it only requires some vision and leadership to take a significant step forward to solve the challenge of poor payment performance.